As part of my program this summer, I’m required to attend class as well as my internship. I apologize in advance, but I’m about to nerd out and provide a quick geography lesson on a few islands with a very complicated set of titles. The British Isles, at least for now, are all part of the EU. 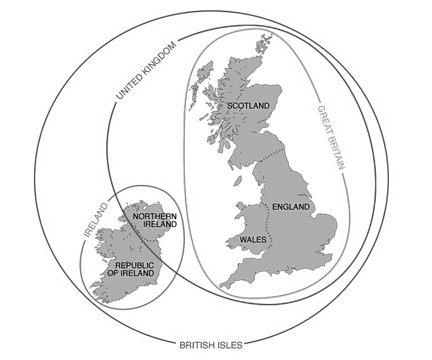 Within the British Isles there are two nations: the United Kingdom and the Republic of Ireland (Often when people refer to Ireland they mean the Republic of Ireland, but geographically Ireland includes both Northern Ireland, which is still part of the UK, and the Republic of Ireland). Inside the United Kingdom (the largest island) are four culturally district countries: England, Scotland, Wales and Northern Ireland. Great Britain, a geographical rather than cultural term, refers to entire large island and includes, but is not technically synonymous with, England. England (not to be interchangeable with the UK or Great Britain) is home to both London and the City of London. London refers to the greater London area, which includes 13 million people. Meanwhile, the City of London, set inside the center of London, accounts for a population of only 13 thousand. The majority of my time and reflection will focus on London. Thus, I’m looking at only a small microcosm of the British Isles. While I want to better understand Britishness, I want to first present the disclaimer that a Londoner’s definition of Britishness is only a fraction of a perspective and under constant interpretation. I can’t say if regions of the British Isles are more different than similar, but friendly rivalry seems obvious. Case in point, when BBC broadcasters announce the status of tennis star, Andy Murry, he’s English when he’s winning and Scottish if he’s loosing. Even within London, there’s vast collection of cultures that disrupt any pure definition of Britishness. Nonetheless I’m fascinated by the anthropological study, Watching the English, by Katherine Fox. Her novel unravels the nuances that make the English mysterious people. More importantly, her novel assumes an underlying British mindset still prevails in the greater London area. I’d like to believe she’s right for the sake of my future posts.